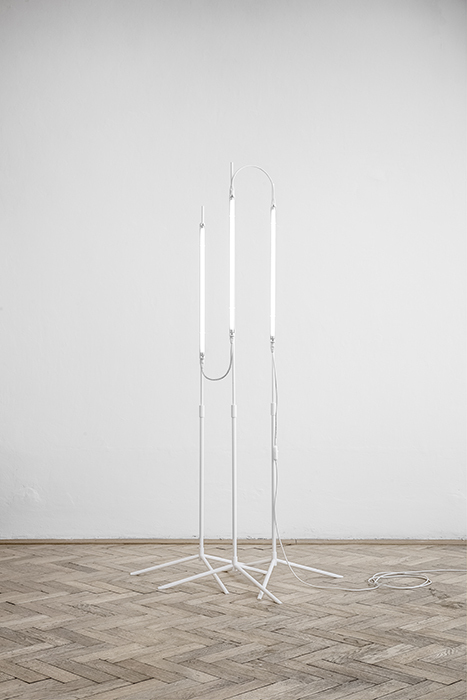 Floor lamp has been inspired by a music stand. The light source is fixed to the construction by cable ties. The lamps can be connected to each other to make a chain.